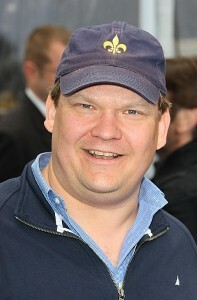 Funny man Andy Richter says his kids have a knack for comedy although their jokes may not be funny to many adults. "All you have to do to make them laugh is throw pee and poop into the conversation or make fart noises. They love that," the actor tells the online magazine Babble. Richter says son William, who’s almost 9, and daughter Mercy, who’s 4, have a lot of typical sibling fights, with Mercy usually acting as the instigator. "Half the time shes really doing comedy skits. She’s hilarious. She’s making him crazy, but she’s also making him laugh. And she’s discovered early on that you’re going to catch a lot less hell from adults if you make them laugh while they’re mad at you. That’s a pretty good skill at age 4. And frankly it’s terrifying. We have a pretty funny household," he said. In addition to his job as announcer and sidekick on The Tonight Show with Conan O’Brien, Richter is known for his role in the animated Madagascar films as well as his voice roles on Nickelodeon’s The Mighty B and The Penguins of Madagascar. He says working on these kid-favorites hasn’t quite made an impression on his own kids. "They really don’t think I’m cool, because they think of me as their parent, which is how it should be," he tells Babble. Richter is married to writer and actress Sarah Thyre.